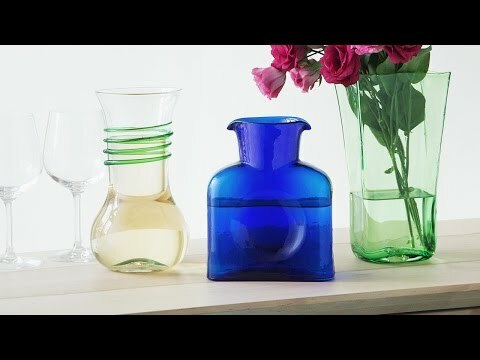 Celebrate traditional American craftsmanship with these hand-blown glass vases. 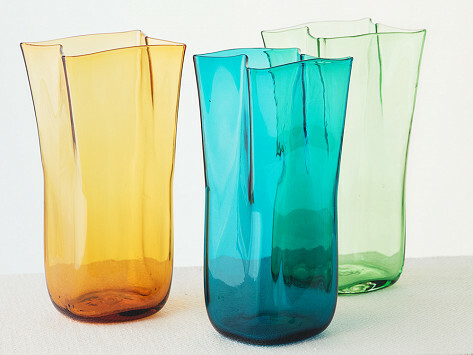 Individually shaped to be visually playful and functional, it can be used as a pitcher or decorative vase. Each piece is unique, colorful, and a timeless accent for any home. Fluid Capacity: 50 fl. oz. Dimensions: 10.5" x 4.7" x 5"